Syria’s War is heading for the 5 year mark. A lot has happened and an imminent outcome has been repeatedly forecast or announced: from Obama’s now infamous “Assad must go” in 2011, to the regime debacle in 2012, to the equally infamous Obama “chemical weapons red line” in 2013, onwards to the regime’s onslaught of the rebels in 2014 and back to the regime’s demise in the Summer of 2015 and now to the regime’s comeback on top of the Russian intervention. And yet, the War rolls on. And it goes on, and on. Actually, since its beginning in 2011, never has the War seemed to be nearing a conclusion. 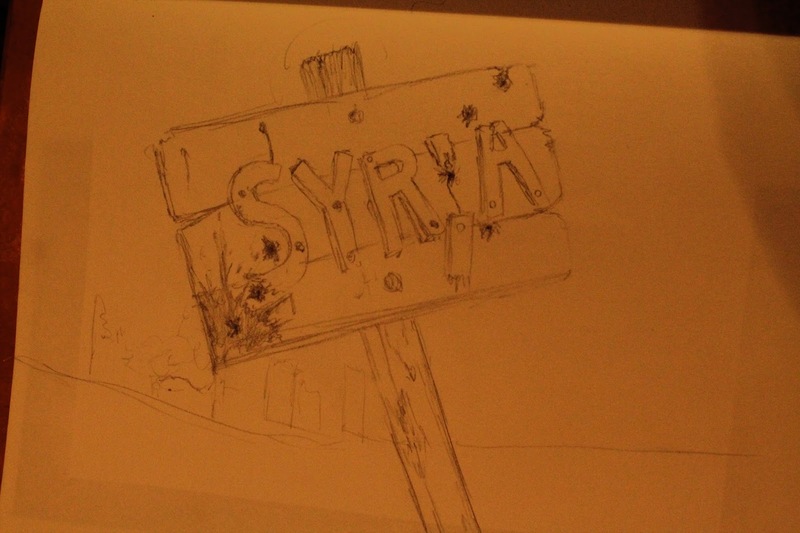 Back in July 2013, Tempos Interessantes published a post titled “Síria: A Guerra Está Para Durar” (Syria: The War Is Going to Last at http://tempos-interessantes.blogspot.pt/2013/07/siria-guerra-esta-para-durar.html ). 27 months later, the War rages on. 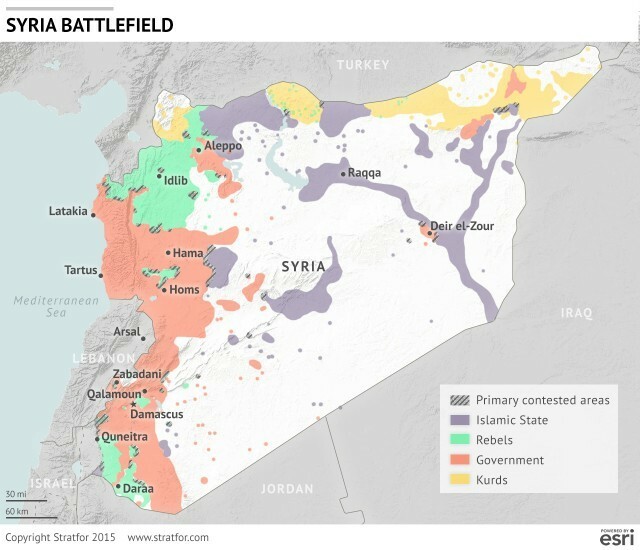 The Syrian strategic patchwork in the Summer of 2015. The list of contenders is hard to track. There is the Government, the Islamic State, the Al Qaeda affiliate Jabhat Al Nusra, the Free Syrian Army comprising an assortment of so-called moderate factions of which there is a Northern and a Southern variant, the YPD (Kurdish People Protection Units), the Islamist Ahrar Ash-Sham, the Al-Tawhid Brigade, Islamists, Jihadists, moderates, secularists, Sunnis, Shiites, Christians, Alawites, Kurds and many, many others. Then, there are the foreign players from the Middle East like Iran, Turkey, Jordan, Saudi Arabia, Qatar and the UAE. There are also the great powers like Russia, the USA and, to a lesser extent, France and the UK and some minor players, too. Finally, there are foreign non-state actors such as the Lebanese Hezbollah and several Iraqi Shiite militias like Ketaib Hezbollah and Harakat Hezbollah. As this were not confusing enough, many of the Syrian rebellious groups have intricate, conflicting and overlapping allegiances, alliances, enmities and hatreds, not to mention interests. This means, for instance, that Jabhat Al Nusra may be cooperating with the Free Syrian Army in one front and fighting it in another one. This myriad of actors, interests and links, translates into a messy, ever-shifting battlespace in which no single faction seems to be able to secure significant progress that could give it a decisive strategic advantage, susceptible of leading it to a final victory. Quite the opposite. Like in the I World War from 1915 to 1917, there have been no strategic breakthroughs, only some tactical triumphs, frequently annulled by setbacks in other fronts. Given the military stalemate and the prevailing political, religious, ethnic and even personal hatred, the Syria War seems to be heading towards a dead-end that could lead to a de facto partition of the Syrian Arab Republic. So, maybe we should be getting prepared, in the not so distant future, to pronounce the gloomy and awkward expression Rest In Peace Syria (RIP SYRIA). Besides the resistance that some of the powers involved (like the US and Turkey) will put to this outcome, the main obstacle to the “RIP Syria” concept is the word “Peace”. Syria may be in her death throes, or even dead. She is, however, unlikely to Rest In Peace anytime soon. Por preguiça mental ainda não li o comentário. Mas é notório o grande orgulho de "Pai babado" nos hábeis e bonitos desenhos do Afonso neste artigo, também colaborador. Lembro o do Charlie Hebdo(?). Tem veia. É promissor. Parabéns!